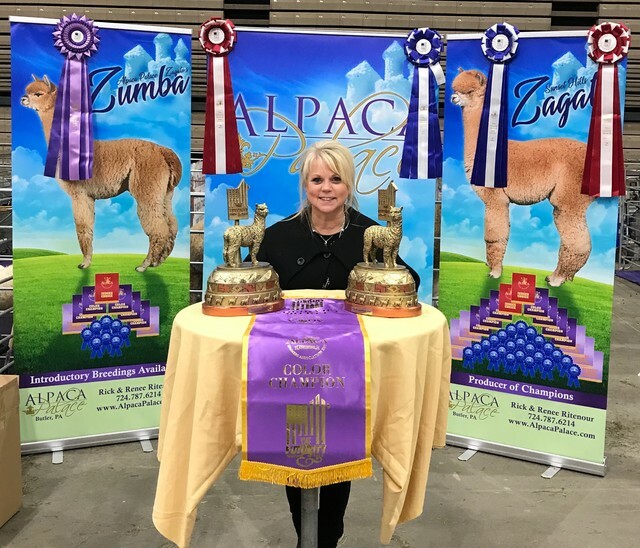 Alpaca Palace LLC is a farm located in Butler, Pennsylvania owned by Renee & Rick Ritenour. We are back to our regular hours of operation unless otherwise mentioned above. Greetings from the Ritenours and the Alpacas of Alpaca Palace. We invite you to visit our farm and see our prized animals. We are located in Butler, PA about 30 miles north of Pittsburgh on 200 beautifully manicured acres. 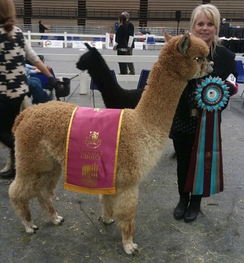 Our commitment is to breed for an elite alpaca with correct conformation and magnificent fiber. Through this commitment and our recent herd growth, in 2009, we purchased 200+ acres, an old dairy farm. In November 2010, we finalized construction of our new home and a new state of the art facility/barn surrounded by lush orchard grass pastures to care for our most precious livestock investment. The barn is also home to our new farm store, Alpaca Palace’s Luxury Clothier, where we offer luxurious alpaca apparel. Our herd currently consists of approximately 225+ Huacaya alpacas and 2 Great Pyrenees to protect the herd. 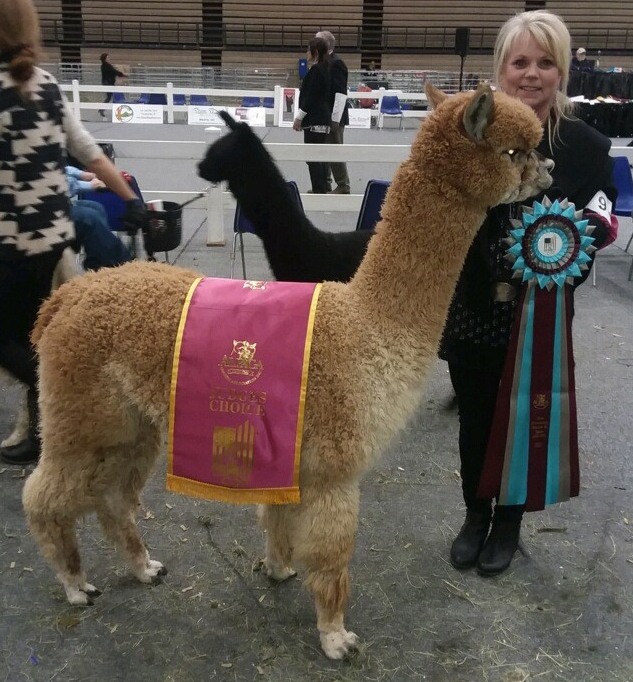 We have 65 cria coming in 2019. We are a full service farm offering breeding, boarding, animal purchases and consulting services for both animal care and pasture management. Check out our award winning herd, and our outstanding selection of Herdsires...completely decorated with banners and ribbons: Alpaca Palace's Houdini, Sunset Hills Zagato, SSKY Kevlar's Christianos, Snowmass Silent Legend, Sunset Hills Farm Andean Gold, The Spiced Rum of Captain Morgan, Interceptor, Skyline's Bold Accent, Accoyo America Zeus, Accoyo America Troubadour and more. 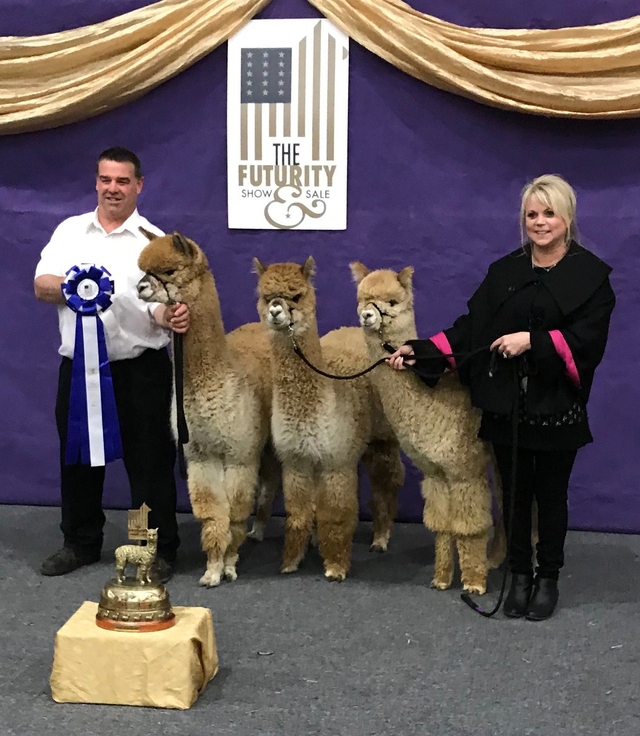 Check out our newest Judge's Choice banner winning Jr. Herdsire, Presto Perfecto of Alpaca Palace he is proven and his first female offspring, Alpaca Palace Presto's Heidi Ho is spectacular! 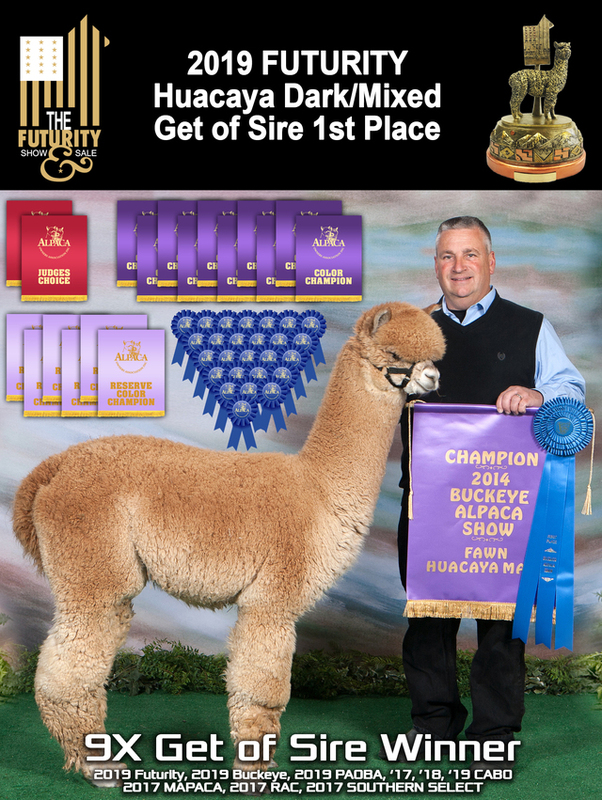 Come tour the farm and see why Alpaca Royalty Lives Here!